Simply one of our best efforts, spend a few hours in the company of X-2/X-2T and get seduced into a musical landscape of the greatest intensity. 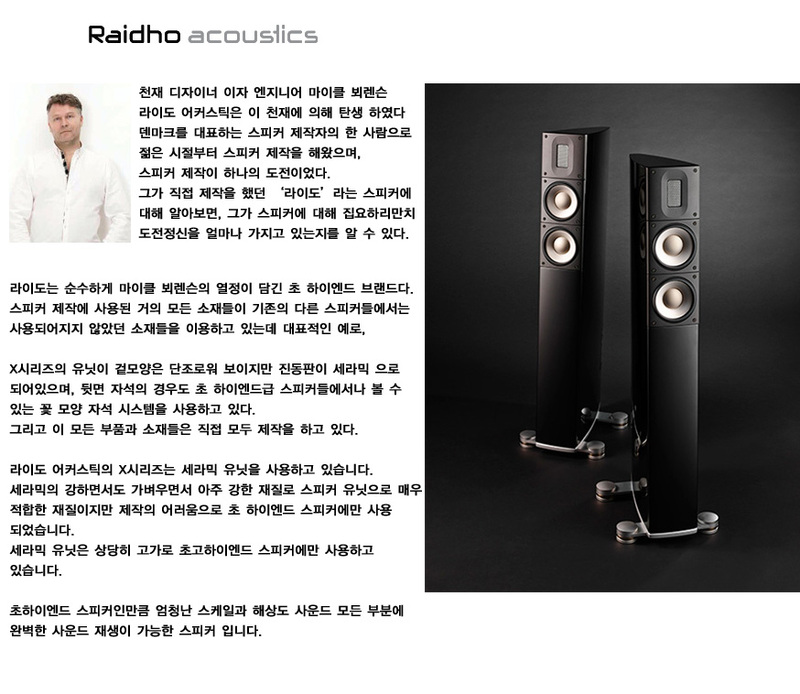 The X-2 family is a 2,5 way design with two 4” Raidho X-drivers and one Raidho tweeter. While quite small and compact you’ll be amazed just how much music a pair of X-2’s can project into your room. Seamless, flawless It renders the tiniest of details on a pitch-black background.